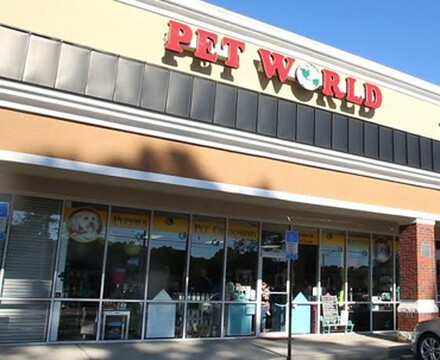 Pet World has been in the business of matching families with their ideal companion for over 30 years! We offer not only a great selection of both Registered and Designer Breed puppies, but offer Full Salon Services to keep your pet looking and feeling their best. As pet lovers, we carefully screen and select our private breeders, all of which have a corresponding USDA # to ensure a great bloodline and a great breeder. We work closely with Mandarin Animal Hospital to keep all our pets healthy. We are here for all of your pet needs. For over 30 years we've taken great pride and joy in matching you with the perfect family companion. We also love to keep your four legged family member clean and looking good. Our product lines (on the shelf and in the tub) are all free of harsh chemicals, un-natural ingredients, additives, artificial colors & flavors, preservatives, and GMO's. We strive to carry the best in "green" products. From foods and treats, to shampoo's and toys, nothing but the best! 1. Your Perfect Puppy. Helping you find the perfect pet is what we do best! 2. Affordable Pricing. We offer reasonable pricing. 4. 1 Year Health Guarantee. We include a One Year Health Guarantee on all puppies from Pet World. We guarantee our puppies to be free of congenital and hereditary defects. 5. Current Vaccinations. All of our puppies are vaccinated and dewormed on a regular basis. 6. Complimentary Wellness Exam. Complimentary first Puppy Wellness Exam at Mandarin Animal Hospital. 7. Complimentary Bath and Trim. One Complimentary 'First Bath and Lite Trim' at Pet World.